We've teamed up with wine merchant Novel Wines to bring you a selection of wine recommendations for any occasion! Specialising in unique wines from across the world, Novel Wines are not short of choice with over 150 interesting wines on their website, all ready for next day delivery to your door. Whether you're hosting a BBQ or looking to impress on a first date, we're sure you'll find a wine to suit here! How many times have you left the house, got to the park and realised you've forgotten your corkscrew? It's pretty annoying! That's why you can't beat a screwcap wine for a picnic trip and we've partnered with Novel Wines to select a few high quality options for the perfect picnic tipple. When you're after a fruity, easy-going red wine Austria is a place to look out for. The indigenous 'Zweigelt' grape variety is soft and supple and few do it better than the Eschenhof Holzer Wagram Zweigelt. While the Zweigelt has some tannins, if you're looking for a real crowd-pleaser or something to enjoy with your food, Pinot Noir is always a safe bet. Romania offers better value than anywhere right now and, for under £10, you can grab a bottle of Aurelia Visinescu's Domeniile Sahetini Nomad from Dealu Mare. If you have more expensive taste then give the unbelievably yummy Haywire Gamay Noir a try. It's a Canadian red modelled on Beaujolais and would suit summer grazing better than most. Prefer white wine? Hungary's Furmint grape variety is like a zippier, zestier White Burgundy and the playful St. Donat Tropusi Laguna Furmint is one of the best we've tried. Few wines have that sweet smell you get just before Summer rain and one of them is Riesling. Riesling is also a top picnic partner and we reckon the Rheingau offers the best dry styles (forget Blue Nun!). Try a bottle of the Bibo Runge Riesling for a treat. Barbecue food is one of wine's favourite friends. The sweetness and moist flavours match really well with wine's tannin and acidity. The team at Novel Wines have selected some corkers to enjoy! If you love smoky flavours in your BBQ you must have a look at some of the wines India is making. They use charred oak and produce off-dry wines like Shiraz to make the best beefy partner. Sula Vineyards Dindori Res. Shiraz is our favourite and you'll either love it or hate it. For a more classic, spicy red partner you could go Malbec or leap outside your comfort zone and try an amazing Bull's Blood blend from Hungary. Spicy, ripe deep fruits are brimming in these wines and young winemaker Janos Bolyki has conquered the art in his Bolyki "Bull's Blood" Bikaver. You could also pair some fizz, especially with grilled prawns or veg BBQs. If you're on a bit of a budget, the Casa Valduga Arte Tradicional offers you Champagne grade quality at great value for money. If you fancy something upmarket, the English Raimes Classic is one of the finest fizz we've tried. Volcanic soil wines also go really well with BBQ food. You can find these along the Danube in Croatia or Hungary or in Med countries like Greece and Sicily. For the connoisseur, try Tasca Ghiaia Nera Nerello Mascalese from Mount Etna, a really great Sicilian red wine. White wine experts should give G'aia Wile Ferment Assyrtiko from Santorini in Greece a try. If you want a volcanic wine at entry level, St. Donat Csopak Olaszrizling from Lake Balaton in Hungary is bound to impress. Cooking Thai at home? Here's some wines you ought to try alongside. The team at Novel Wines have helped us choose the best wines to drink with Thai food when you're at home or visiting friends. Thai food can be spicy, so we've started with some spice tamer styles you'll love. 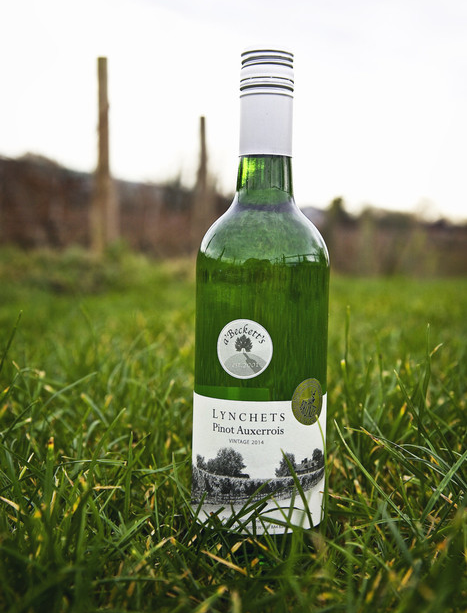 Thai Green Curry loves particularly fruity, zippy green wines like the a'Beckett's Lynchets from Devizes. This English wine is 100% Pinot Auxxerois, a variety bursting with green apple, pear and lime flavours. If your curry gets extra spicy though then Riesling is a better choice with its rich character. Bibo Runge Hargardan Riesling is a step up from the winery's basic level white and tastes extraordinarily good with Thai food. Not a fan of spice? Then go light on chillis in the Thai and try it with the floral, juicy Moschofilero grape from Greece. A great example is Semeli Mantinia Nassiakos. If you really fancy impressing then why not drink Thai with Thai? A soft, off-dry red style is made from the Thai variety called 'Pokdum' and it comes from Thailand's best vineyard: Monsoon Valley. The Pokdum Shiraz () blend red wine is great with soy duck dishes. The winery also has a late harvest Chenin Blanc sweet wine that might not pair with Thai savoury food but is mind-blowingly delicious with blue cheese! Out for Sunday lunch? Go in style with an aperitif. Before going off for a big Sunday lunch, we like to have a few friends or family round for a glass of bubbly. It's the perfect aperitif and start to a Sunday lunch that makes it all feel like much more of an occasion. There's a huge buzz for Prosecco and also home-grown English wines so we've gone down the middle and recommend Bolney Estate Bubbly NV, an off-dry sparkling wine from Sussex that will please Prosecco and Champagne fans alike! Of course if you're planning Sunday lunch at home the most important thing after the food is getting the wine right. In partnership with Novel Wines, we've selected a range of wine pairings for every style of Sunday lunch! Roast chicken is one of the most popular options and it's often hard to decide between a red or a white wine. Fab middle ground is to go with a lightly oaked, zingy white like the Painted Wolf Paarl Roussanne from South Africa. This is a multi-award winning wine bursting with peaches, lime and cream. If you prefer turkey to chicken, which can be slightly meatier, then go for a bigger Chardonnay or try a Hungarian white wine like the excellent Kardos Furmint, full of ripe red apples and butter notes. Going for classic roast beef? For us it's got to be a red wine and something that's rich and juicy but not overly so. Nero d'Avola, an Italian variety from Sicily, is our best bet. Packed with blackberry and plum fruits, the silkiest tannin in the Mediterranean and a juicy finish to cut through your beef and yorkshires make it a top match. Try the organic Colomba Bianca 'Kore' Nero d'Avola for a great example. Lamb can be a great wine partner because of its fats and full flavour. A medium bodied red like the plummy Kayra Kalecik Karasi from Turkey is bound to impress, or you could go for a curveball and try a spicy Gewurztraminer like this Ilocki Podrumi Traminac Premium from Croatia. If you're not a meat person, then those trading Sunday lunch for a fish dish can't go wrong by pairing fish with one of our favourite white wines: Kyperounda Petritis. Originating from Europe's highest altitude vineyards in the Cyprus' Troodos Mountains, this white is choc-a-bloc with ripe gooseberry and lime fruits, perfect with white fish or oily fish dishes. Vegetarian nut roast instead? Go for the nutty, creamy Chateau Ksara Blanc de Blancs from Lebanon - there's nothing like it. We've teamed up with Novel Wines to introduce you to the perfect steak and wine pairings for those evenings in. Whether you're going for rump or ribeye, this is your guide. The classic pairing for steak is Malbec, often from Argentina, which is still an iconic red wine to go with when you're enjoying a big ol'rump steak. Rump is usually juicy and sweet, so works really well with Malbec's rich and fruity flavours. However, if you want a really exciting match then treat yourself to a Ribeye, a fattier and more flavoursome cut, paired with a Uruguayan Tannat. Tannat, originally a French grape variety, has become Uruguay's main red wine style and - thanks to long sunshine hours - ripens much better than it does in France. The result is a structured, chocolatey, big and bold red wine that pairs beautifully with steak. The best to go with? 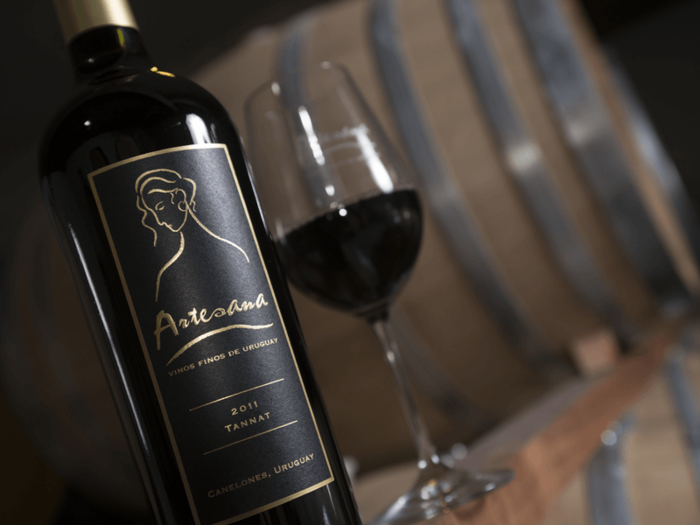 Try Artesana Tannat from Canelones, owned by a pair of awesome female winemakers. If you prefer a Sirloin, which is a great option for a steak sandwich, then a slightly lighter but nonetheless jammier red wine will go perfectly. Try the organic Colomba Bianca 'Vitese' Nero d'Avola from Sicily or, if you're a spice fan and like peppercorn sauce, go with the Bolyki Bull's Blood Bikaver from Hungary. Whenever you go gold standard and opt for a fillet steak, you need something that won't overshadow the meat. Try the mouth-watering red wines of South Africa, particularly the Painted Wolf Guillermo Swartland Pinotage. Few things are as indulgent and delicious as great seafood. The Brit craze for sushi is just one of them and we've got the best wine to try with it: Grace Koshu Kayagatake from Yamanashi, Japan. It's not sake. It's a crisp, light white wine with subtle hints of lemon and pink grapefruit. The Japanese seem to always get the complexities right in alcoholic drinks (whisky, sake, beer), favouring delicacy and elegance. The result is a masterful use of the Koshu grape variety to create the world's finest sushi wine partner. Talking of a British craze though we can't ignore the nation's favourite seafood dish: fish and chips. Fish and chips is salty, so we need acidity to cut through and complement the food. The best way to do this is to go for a Champagne or an English sparkling wine. Favourites include the toasty, rich Furleigh Estate Classic Cuvee from Dorset or the brilliantly fruity Raimes Classic Sparkling from the South Downs in Hampshire. Both are yummy with a classic meal from your local chippy. If you prefer a shellfish bonanza, and I'm thinking mussels or clams, then you have to try a great rose. You could give the dry, red fruit styles of Provence a go or opt for the unusual with a glass of Kayra Beyaz Kalecik Karasi Rose from Anatolia, Turkey. It's a unique rose brimming with watermelon, orange and strawberry flavours. Impress your date with these brilliant wine pairings. Choosing a good wine for your date can be a little daunting, so we've teamed up with the experts at Novel Wines to pick some crowd-pleasers that impress. The safe bet for white wines is usually a Sauvignon Blanc and the Marlborough region in New Zealand offers consistently good quality. However, if you want to offer something a little more interesting, why not try the Casa Valduga Raizes Sauvignon from Brazil? It's fruitier and zippier than its New Zealand friends but still guaranteed to put a smile on a Sauvignon fan's face. If you want something a little more versatile than Sauvignon, for example if you don't know what's for dinner or what their tastes are, go eccentric with the Kayra Narince from Turkey. This juicy, floral white wine is a great food partner and good value too. The red wines can also be challenging. Merlot can be hit and miss and a lot of supermarket Bordeaux is usually unimpressive. Spanish Rioja is usually an easy option, or you are generally safe going for the juicy Nero d'Avola reds from Sicily. In fact, this Colomba Bianca 'Vitese' Nero d'Avola is both organic and vegan friendly, as well as superb value. If you're going for pizza or pasta, try a medium bodied Uruguayan Tannat like the Bodega Stagnari Del Pedregal, full of plum and blackberry notes. If you don't know whether to go with red or white and your date says "just bring the wine", then we've got you covered. Chateau Ksara Sunset Rose from Lebanon is spicy, fruity and creamy. It's bound to please! The truly wonderful Biblia Chora Ovilos Barrel-Fermented Assyrtiko/Semillon from Kavala, Greece, is the top premium option for your brunch adventure. It's also a gorgeous bottle and golden 'o' logo, so will make a great impression on those Insta shoots. Rich and bursting with grapefruit, it'll bring out the truffle on your eggs or the creamy butter in your French toast. The equally pricey but nonetheless memorable is the Painted Wolf Pictus V from South Africa, which is inspired by the best white wines of the Rhone Valley. It's buttery and mouth-watering with a beautifully-designed watercolour of the African wild dog on the front. Painted Wolf works to support the conservation of these endangered dogs, so it's also a wine with a great cause! If you fancy something a little less expensive then the versatile Thiasos Red PGI, also from Greece, is medium bodied and bursting with redcurrants. Light enough to go with your Eggs Florentine with enough ripe and fruity flavour to complement a chilli jam. The classic pairing with any brunch, however, is a sparkling wine. Prosecco can be a little sweet, so for us the Bolney Estate Classic Cuvee from Sussex is the number one choice. Toasty, fruity and sublime with scrambled eggs on toast. Novel Wines is a award-winning wine merchant specialising in unique wines from across the world. Save on bottles of Jsc Tbilvino 'Iveriuli' Saperavi 2015, Georgia, Novel Wines' top pick for April.